Are you ready to learn some more amazing facts about your little one? In part one, we revealed 10 fascinating facts about your little miracle. We discovered that they know how to crawl the minute they’re born and more bizarrely, that they grow a moustache in the womb! Missed out on the first part? Don’t worry, you can catch it here. All babies sound the same when they cry right? Wrong! It turns out, each infant has their own unique cry that their mother is capable of identifying. So, say your little one was in a room full of other babies and they all started to cry – you’d be able to identify which baby was yours by their cry alone. This is something you largely associate with animals. In the animal kingdom, mothers are able to distinguish their infants cries in case they go missing. It’s easy for baby animals to get lost and wander off. However, humans don’t have the same evolutionary need. Our infants can’t just get up and walk away. So, the reason why we are able to distinguish between our own babies cries and somebody else’s isn’t clear. However, it is a pretty cool fact to know! 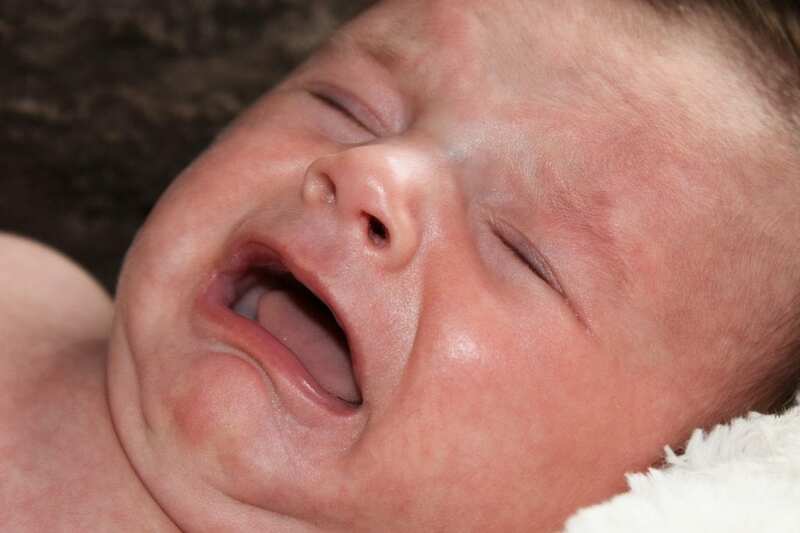 It’s not just mothers who can identify their own infants cry either – dads can do it too! Research has shown fathers are just as capable of identifying their child, provided they are spending at least four hours each day with them. When your little one is born, their eyes are already nearly fully grown. They measure around 75% of their adult size. That’s why you often notice people commenting on an infant’s “big beautiful eyes”. However, while they may be large, they cannot see as well as you can. Up until the age of around six months, a baby’s vision is said to be approximately 20/400. It is only after six months they can develop 20/20 vision. It’s a common belief that children learn good and bad behavior from their parents. However, research has blown this theory right out of the water, claiming that babies are actually capable of determining good and evil behavior from the age of six months. Results showed six month old babies were capable of making their own moral decisions, leading experts to think we are actually born with a moral compass. The research was carried out using puppets. One was shown as being helpful and good, while the other was shown to exhibit bad behaviour. When the babies were given the choice of which puppet they wanted afterwards, a majority 80% chose the good puppet. You probably already know that if you’re stressed out, your little one is too. That’s because they are capable of sensing other people’s feelings. It’s not just yours either – they can also sense how other babies feel. It only takes a few months for infants to be able to tell the difference between happiness and sadness facial expressions. However, it’s not until they’re nearly a year old that they can actually sense how people feel. What’s most surprising however, is the fact that they don’t just sense it – they actually care about others feelings too. This is likely one of the most surprising facts you’ll come across. I don’t know about you, but I assumed all babies saw what we saw – in bright beautiful colors. After all, isn’t that why most baby toys are created in bright, colorful designs? Well, apparently not! During the first week of your little one’s life, all they can see is various shades of grey. It actually takes months for your little one’s eyesight to develop fully. However, after that first week they will start being able to determine yellow, green, orange and red. Birthmarks are often said to be quite rare in babies, when in fact the opposite is true! It’s actually rarer for a baby to be born without any birthmarks at all. It’s estimated that 80% of infants are born with some kind of birthmark, with most of these made up of port-wine stains and stork bites. However, it’s still pretty amazing when you think about it. You will of course, come across many sceptics claiming this is isn’t. However, it’s true that it does in fact occur, there just isn’t much research out there that looks deeply enough into the process. So here’s a strange one – your baby already has a little of your accent and it shows in their cry. It comes out as more of a pattern, which could explain why all babies have their own unique cries that their mother can identify over all others. This was actually discovered by researchers from the University of Würzburg in Germany. They found that it is in the last three months of pregnancy that the baby develops their mother’s native tongue. It’s well known that babies sleep a lot, though granted not as often as you might like! However, did you know that your baby will only be alert for approximately three minutes out of every hour? This becomes even less during the night time. So, the majority of the time your little one is just too sleepy to concentrate on anything – it’s a hard life! Ok, so this last fact isn’t directly related to your baby, but it definitely deserves a mention! In 1955, a healthy boy was born in Aversa, Italy, weighing an eye-watering 22lbs 8oz! Let’s all take a minute of silence for the brave woman who gave birth to this not-so-little miracle! So there you have it – 10 more amazing, interesting facts about babies you may not have known. Do you have any of your own little facts we haven’t mentioned? Share them below, we’d all love to hear them! OK. I think we’ve gone a little too far with this…i mean, you’ve got be joking. The first part was quite bizarre, but this part…i don’t even know what to call it. Are you telling me that babies can heal a woman from the womb, babies cry with accents, as well as point 4 and 5? This is unbelievably/unimaginable/unthinkable/undreamable/unthouhtable, tell me when I’ve run out of words,..its just fascinating. I can’t help but think, doubt it, think again and still doubt it. I know places in my country where you’d get a thousand sighs for saying this. This points are completely jaw dropping. Thanks for this eye opening information. I’ll be sure to share them and see what responses I get. Nothing but jaw dropping facts! Feel like reading it over and over again. I am quite familiar with some of the points above. But going further, I glad to say that I have been able to learn some new and interesting facts. However, I have had that babies cry when they aren’t ready to have another sibling. They do this especially when the parent are getting back very close (intimately) after delivery. This could be during the day but mostly at night. Reason could be that they need undivided attention from both parents and also want their mom to recover fully after child delivery. I don’t really know how true it is, but it appears there is some evidence of truth in it. Sounds cool learning about these facts about babies. It’s quite interesting when we look at babies and wonder how they cope with the new environment and all that, but understanding these facts has given me a bit of relief to value these babies and even keen to have children soon! It’s going to be interesting checking out most of these facts on my babies. These are interesting facts about the babies. I want to have my say regarding #3. Yes, babies can identify good and bad behavior. Whether this ability is ingrained in their genes or they acquire from the environment can be a debatable matter, however in my opinion, the babies acquire this trait from their parents, the codes are written in their genes. I am saying this from my own experience. I have a 10 months old boy and his behavior and activities reflect behavior and activities of his parents and grand parents.